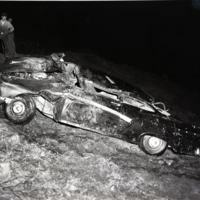 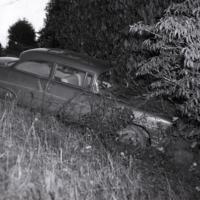 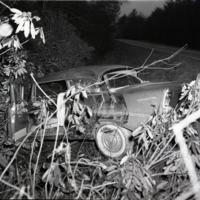 Black and white image of a damaged car stuck in the brush after the Shoak wreck. 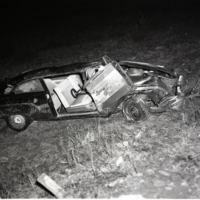 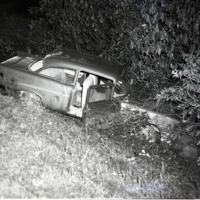 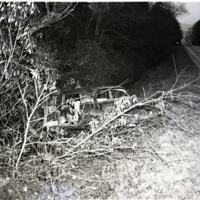 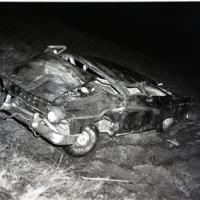 Black and white image of a car on the side of a road stuck in a ditch after the Shoak wreck. 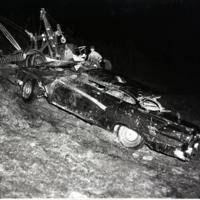 Black and white image of damage done to a car in the Gentry-Steelman wreck. 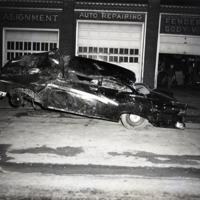 Black and white image of the damage done to a car after the Gentry-Steelman wreck which was moved to an auto repair shop. 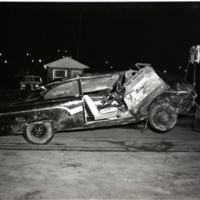 Black and white image of a tow truck moving a car damaged in the Gentry-Steelman wreck.